Find out the reason why you can't proceed next even after adding your keywords. If the “Next” button is still unavailable after you’ve added keywords to Rank Tracker, just make sure you didn't forget to fill in the 'Locations' field. The “Next” button will light up and become active only after you specify locations that you want to track all of these keywords in. By location, we mean a country, state, or city. 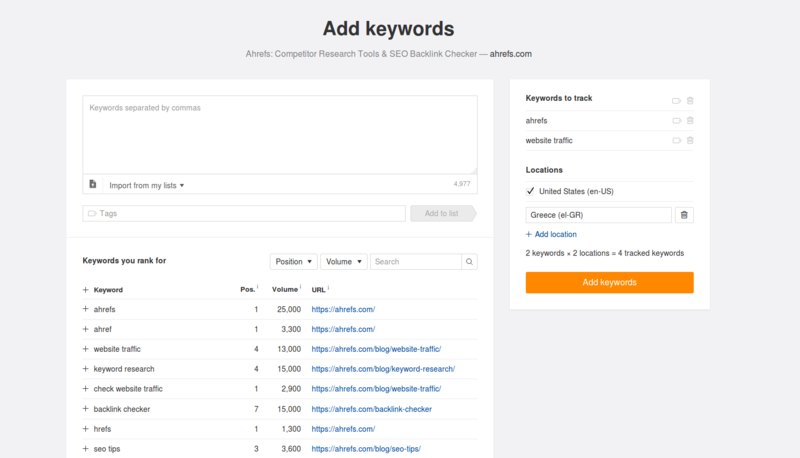 Please note that adding two locations for the same keyword will count as two different keywords tracked. Depending on your subscription plan, there are certain limitations for the number of locations you can add per one website. How frequently do my tracked keywords get updated?